Every single one of us have goals that we want to reach but do we ever fulfil the goals we want to achieve? The simple answer - no. Different things get in the way, time, cost, people, life everything gets in the way. 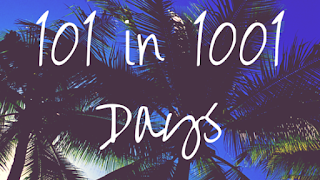 With everything around us changing constantly, it is important to make sure you don't forget about what you want to achieve and the lovely +Mollie S tagged me to challenge myself to complete 101 things in 1001 days! Here are my goals for the next 2.75 years! WOW. That was a long list and half way through I nearly gave up, but carried on after taking inspiration from the internet. I think writing it up is a great way of keeping a track of my goals, and every time I achieve something it will be crossed out. 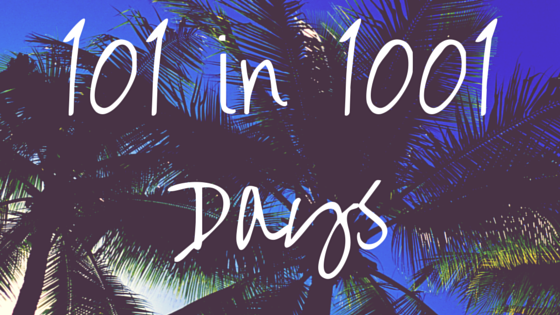 Why not create yourself a list of 101 things to do in 1001 days! I TAG YOU ALL.